Since the introduction of the PowerMaster HPU series i 2003, Innova has been a leading supplier of subsea electro-hydraulic pump systems. 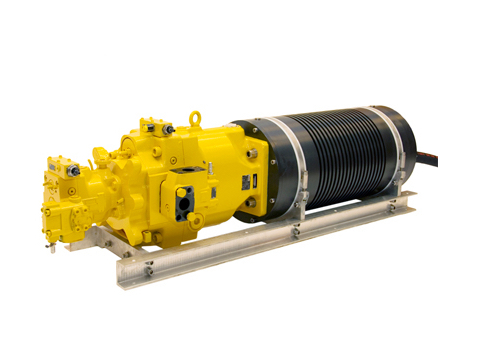 Our product lineup includes electrically powered subsea HPU systems with 12 to 300kW motors, 400 - 4200VAC. 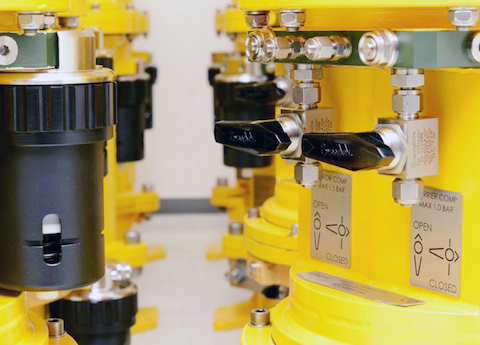 Applications range from compact power packs for hydraulic tooling to be used on compact electrical ROV systems, to large multi-pump units used on trenchers and subsea mining equipment. Combining our pump, motor and variable speed drive technology, our product range includes pump systems for high pressure water-glycol and grease applications, qualified according to the strict requirements for permanent subsea control. Using VSD and control system developed and qualified from scratch in-house, the systems can run in full autonomous mode, delivering fluid at a controlled pressure and flow-rate based on feedback from external sensors. Since all development and design is done in-house, we are capable of providing custom solutions to suit customer specific requirements.